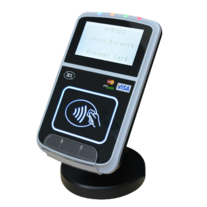 The ACR123S is compliant and certified with major payment and safety standards such as MasterCard®, Visa, EMVCo Level 1 and EMVCo Level 2. 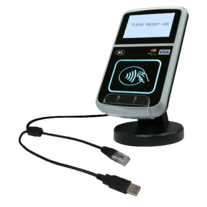 ACR123S is compatible with EMV-based contactless payment applications such as MasterCard® PayPass™, Visa payWave®, and AMEX ExpressPay®. 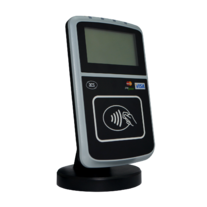 Moreover, the ACR123S Intelligent Contactless Reader is also Apple Pay-ready.